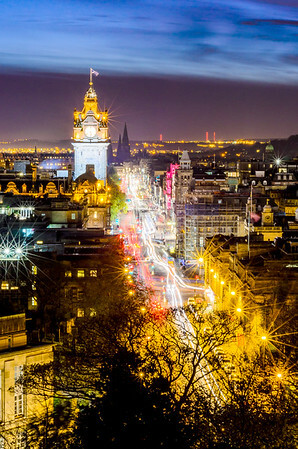 This is another of my favourite views of Edinburgh! There's a certain spot on Calton Hill (just at the bottom of the Nelson Monument) from which you can see right along Princes Street from one end to the other. Of course, there's the ever fantastic Balmoral Hotel on the left to complete the view! Visiting after dark allows some nice light trails along the street when taken with a long exposure!